Adequate means of transport are essential for any NGO that works in rural areas and has daily contact with beneficiaries. In the case of Trax motorbikes are the best way of getting around. Trax field staff all use a motorbike to visit the farmers or schools they are in charge of. One of the bikes, however, had been intensively used for 8 years already and was a real headache. Our Schools Project Coordinator Botozan has had to push it from a village several kilometers away because it wouldn’t spark. 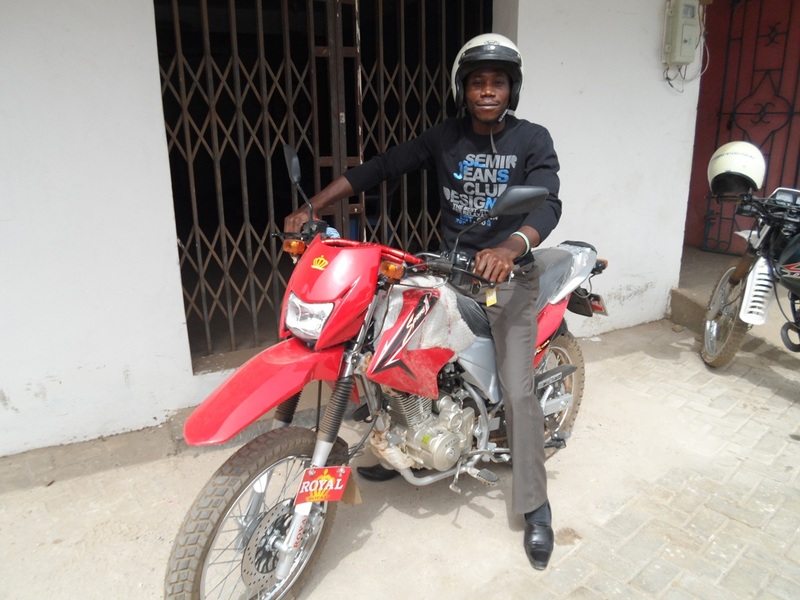 Fortunately Best of Both, British School of Brussels came to his aid and supported Trax with a brand new motorbike. Botozan has already made great use of it when he visited all five schools yesterday to welcome his students back to school after their Christmas holidays. This entry was posted in field visits and tagged Education. Bookmark the permalink.